Are you ready to get the ultimate in intense Martial Arts training? Then you’re ready to begin your Brazilian Jiu-Jitsu training at PKG Training Center in Los Angeles right now! Many people have already heard of Brazilian Jiu-Jitsu or BJJ, which was made famous by Royce Gracie in UFC when he took the world by storm and changed everything that we thought we knew about Martial Arts and fighting. The 176 pound Royce Gracie and his Brazilian Jiu-Jitsu turned the Martial Arts World on it’s head defeating much larger opponents. Royce Gracie and his performance in the early Ultimate Fighting Championships changed the Martial Arts forever! THE ULTIMATE SELF-DEFENSE HAS MORE BENEFITS THAN ANY OTHER MARTIAL ART! Brazilian Jiu-Jitsu, or BJJ, is a type of martial arts training that emphasizes grappling and ground fighting. The training focuses on developing your ability to take your opponent to the ground while utilizing effective submission holds that will quickly end any fight. It also teaches you how to defend yourself while on the ground -- when you’re most vulnerable. This style of martial arts offers a complete body workout. It’s a fun, engaging way to build and tone muscle and help increase your confidence and stamina. Additionally, it will provide you with valuable self-defense tactics that give you the ability to respond to dangerous real-life situations. Our trainers are patient, friendly, and highly-skilled fighters. Having successfully competed in various competitions world-wide, our trainers will provide you with the opportunity to experience the challenge and excitement of a real, professional fight. 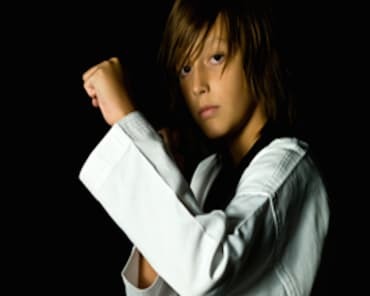 Learning this style of martial arts can be extremely important when it comes to learning self defense the most vulnerable scenarios – being on the ground. Fact - if you don’t know how to defend yourself on the ground – then you don’t know how to defend yourself. Having the ability to defend your self is enough to amp up your confidence level. Of course, the physique you gain from this intense training only adds to it. BRAZILIAN JIU JITSU CLASSES IN LOS ANGELES WILL GET YOU FIT AND PROTECTED! When you train in Brazilian Jiu-Jitsu at PKG you can be certain you are getting the best training possible. To get started just complete the brief contact form right on this page. When you do, we’ll give you all the information you need to take the next step to become a master of Jiu-Jitsu at PKG Training Center!